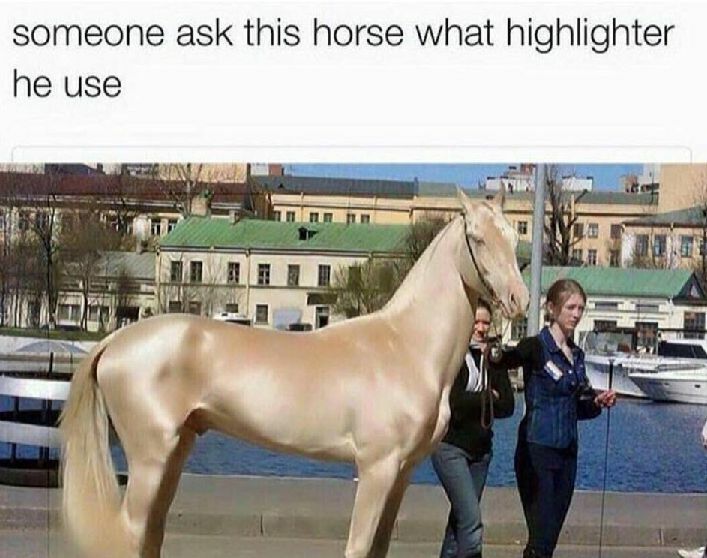 Horses have it all: excellent morning breath, people petting them all the time, built-in highlighter when groomed properly. The number one thing they have that everyone wants, however, is thick hair. Grab a fistful of a horse’s mane or tail and you have in your palms the ultimate hirsute dream. McKel Hill, Dietitian, Nutritionist and Founder of Nutrition Stripped, a website dedicated to help make healthy eating simple, said that it wasn’t until she changed her lifestyle and diet in college that her hair began to grow. “Like a weed,” she stressed. Foods to avoid: “In the bigger picture of happier hormones, avoid refined sugars and trans fats, plus anything you know doesn’t jive with you (i.e. food allergies or intolerances). More importantly, eat enough food and calories! I see this a lot: As soon as clients increase their calories, their body becomes more nourished, which leads to happier hormones, which leads to healthier hair in the long run. If you blow dry your hair: Kusero and Grenia recommend their Trust Fund Thickening Foam on damp hair for great volume and texture. Don’t go diagnosing yourself on WebMD just yet. Making the problem worse: For anyone with thinning hair, Dr. Avram recommends avoiding extra tension on hair follicles, like tight braiding, Brazilian hair straightening and hot combs. “Thin hair breaks easily and can worsen the problem. Shampooing, coloring and blow drying on a regular basis is fine,” he said. Stress: Man oh man does it always come back to stress. Kérastase’s Matt Fugate, IGK’s Chase Kusero and Aaron Grenia and McKel Hill of Nutrition Stripped said to avoid stress, while Dr. Avram confirmed it contributes to hair loss. Easier said than done, of course, but it’s worth trying. I wonder if low stress is the horse community’s secret. It totally is. I bet they meditate. Photos by Louisiana Mei Gelpi; Pawaka sunglasses featured throughout.